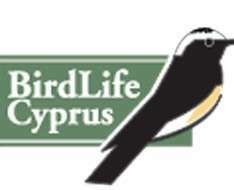 BirdLife Cyprus is a registered NGO that works to conserve wild birds, their habitats and wider biodiversity in Cyprus, through research, monitoring, lobbying and conservation and awareness-raising actions. The birds of Cyprus are out there for us all to enjoy and the BirdLife Cyprus field meetings are an ideal way to be introduced to them. All you need to bring with you to the field is enthusiasm, a pair of binoculars if possible and a flask of coffee for the inevitable refreshment break. BirdLife organises field meetings (the participation is at one’s own risk) which require light to moderate exercise. Please contact the field trip leader for more information on difficulty, distances and terrain of a particular field trip.